Carmel & Davey greeted us as we arrived and spent time with us giving us the family history of the adorable Lissyclearig Thatched Cottage. Carmel grows her own herbs for our lovely breakfast in a pretty garden. Davey hand built the cottage and all the wooden beds, tables and flooring from collecting wood when on his fishing adventures. 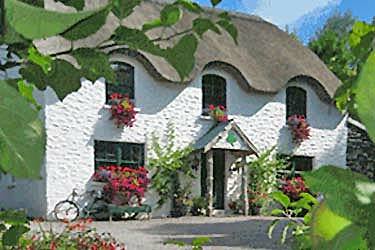 Simply beautiful Irish cozy cottage. A nice location to begin a day of Ring of Kerry. Loved our stay! very nice cottage with original wood deco.Well located and quiet.we recommend.